The fallacy of the cruiserweight division lies in the fact that it has never quite broken free of its original intent. Cruiserweight was first formed in the 1970’s as a response to the ever growing size of the heavyweight division and the gap between it and the light heavyweight limit of 175. But, both literally and figuratively, the cruiserweight division has always been left in the heavyweight shadow, and thus the big money could not find its way south of 200, which in turn made it rare to find cruiserweights willing to stay career cruisers. 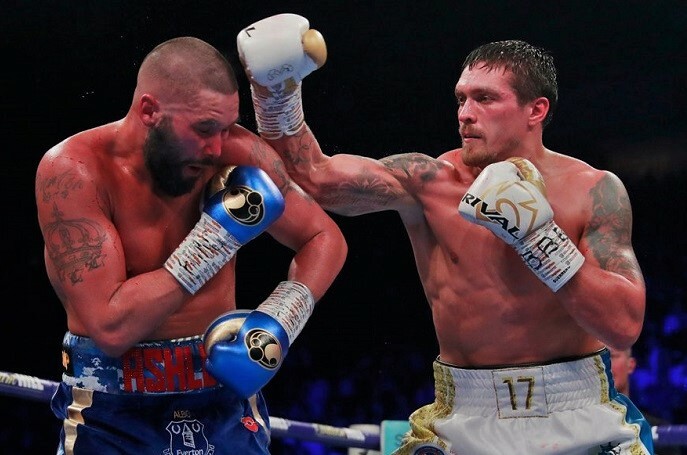 Last night in Manchester Arena, undisputed cruiserweight champion Oleksandr Usyk made the first step in following the same well-worn path. While the Ukrainian pound-for-pound star set to defend his belts against former cruiserweight champion Tony Bellew, the fact that his British foe had already established himself at heavyweight with two noteworthy wins over former titlist David Haye hinted strongly at Usyk’s intent to venture north of 190 in the near future. After all, from a financial perspective, there are obvious incentives for Usyk to consider moving up. Having recently signed with DAZN, he does not have as many network and promotional hurdles as Deontay Wilder to make a fight with heavyweight phenom Anthony Joshua. And while Usyk would certainly be an underdog against a fighter of Joshua’s size and stature, he would undoubtedly cash out with a massive paycheck if nothing else, a payout virtually unattainable to anyone else at cruiserweight. But first there was the matter of Tony Bellew. And while the Briton entered the fight an eight-and-a-half-to-one underdog to regain the cruiserweight crown, Bellew has been underestimated before, overcoming the odds in both Haye fights to score emphatic knockouts of the former heavyweight belt-holder. 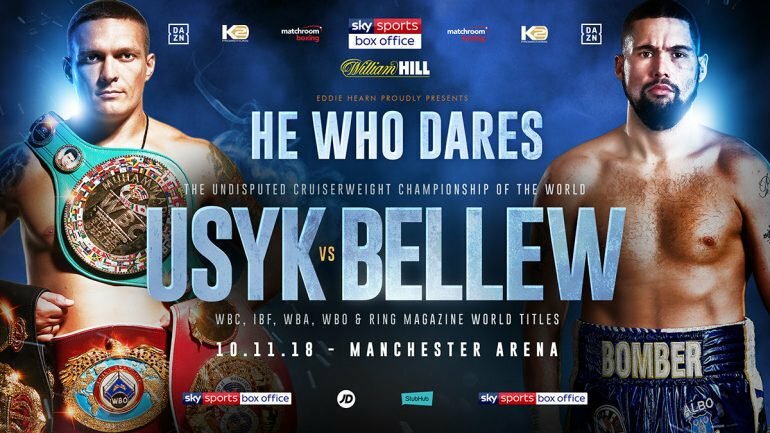 Besides, Bellew had little to lose heading into the Usyk fight, with the Brit making it clear he had no intentions to continue boxing, even going so far as to say he wanted Usyk to “beat the fight out of me.” Beyond that, while most agreed that Bellew was a definite underdog, they also noted that he had the craft and the punch to make it interesting, if nothing else. Bellew weighed in on Friday at 199 and one quarter pounds, his lightest in some two year, while Usyk stepped on the scale at a consistent and ready 198 and one quarter, looking intent on defending his belts on enemy territory for the fourth consecutive time. From the very beginning, it was clear that that those who had predicted a dominant blowout by Usyk were in for a bit of a surprise. The whirlwind punching machine who danced circles around Murat Gassiev was largely tamed in the early going by Bellew’s composed, counter-punching approach, as the Brit met Usyk’s offensive efforts with effective counter right hands. While Bellew fought much of the time on the backfoot, he was also effective when leading. The champion had a hard time defending the right hand, whether it be a lead or a counter, but nevertheless continued to pursue his elusive challenger with poise and patience. The match was fought at a high level throughout, and by the third it was clear it was going to be Bellew’s right against Usyk’s left. 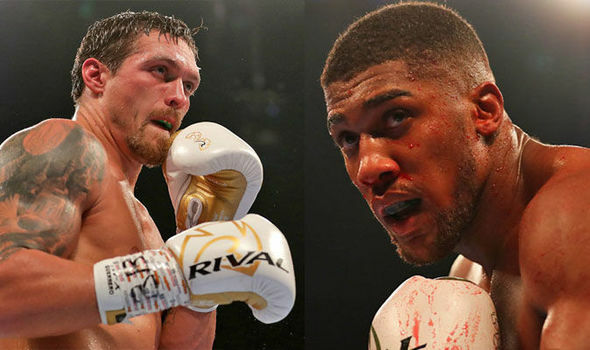 Both were finding ways to get around the other’s guard and some wondered if Usyk might be next in line to taste the same power which had David Haye sprawling to the deck in May. The Ukraine was definitely “following a puncher around,” as George Foreman might have said, though it did not appear he was becoming at all complacent as he consistently attacked on an angle. 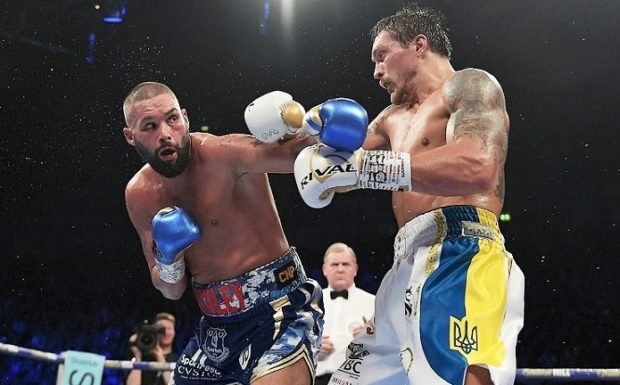 An overhand counter left in the fourth appeared to stun Bellew and while he came back in the latter portion of the round, the momentum was clearly turning in the champion’s favor, which is precisely what makes a boxer like Usyk dangerous. It’s much easier to prevent a rhythm fighter like Usyk or Vasyl Lomachenko from getting started than to put out the flame and now the Ukrainian had found his groove. Even so, Bellew showed no signs of discouragement, though it remained to be seen how the nearly 36-year-old would hold up to the increasing punishment as the champion’s left landed with greater regularity. Despite the fact the hourglass appeared to be running out on Bellew, the challenger was leading on two of the three scorecards heading into the eighth. He had controlled much of the early action with clean counter right hands, and had done more than enough to capture the imagination of his fellow Britons. 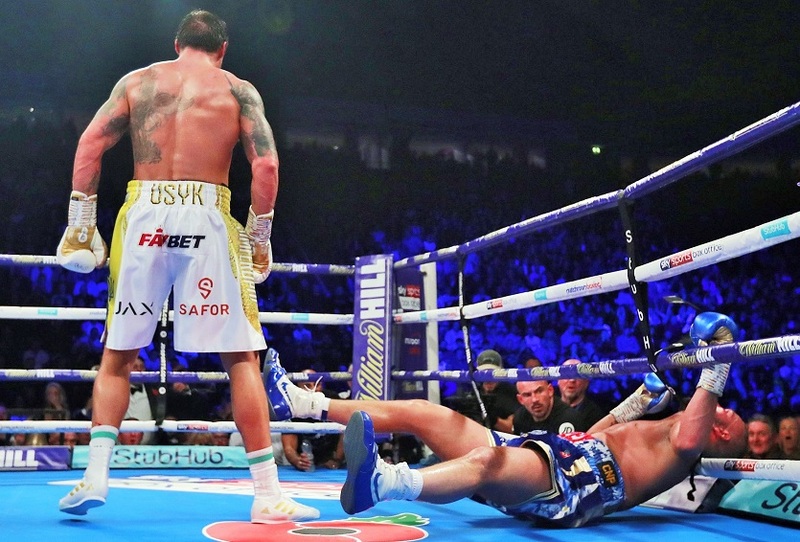 But the champion would not be denied; midway through the round, after landing a series of hard lefts in close, Usyk closed the show with a vicious left cross that had the Brit looking like a rag doll as he collapsed. Bellew attempted to rise, but referee Terry O’Connor declared the fight over by knockout at 2:00 of round eight. 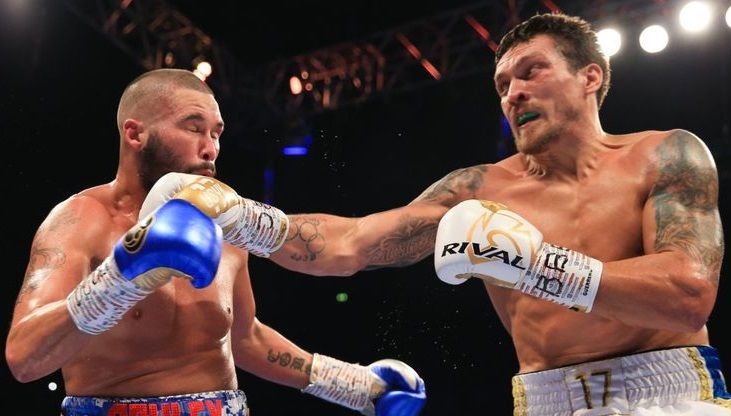 With season two of the World Boxing Super Series cruiserweight tournament now underway, the division shouldn’t suffer too much from what appears to be Usyk’s inevitable move up to heavyweight. But the big question now is, who does Usyk face first in a division loaded with giants. While an immediate showdown with Anthony Joshua would be the quickest ticket to an eight figure payday, there are more tactful avenues at heavyweight prosperity that the Ukraine might take first. For example, a match against the winner of next month’s big UK showdown between Dillian Whyte and Dereck Chisora would provide both a good test and a natural prelude to a possible huge money showdown against Joshua. Is this an inevitable showdown for 2019? 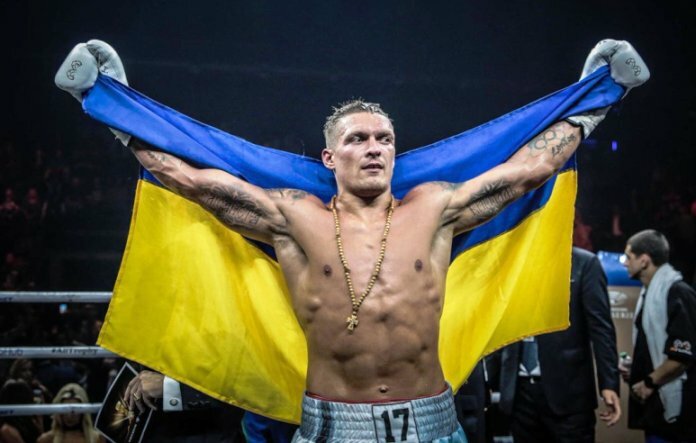 And if Usyk fails, which is a definite possibility given the size and weight he would be giving away against the present day giants, he can always return to a cruiserweight division that is stacked with talent and as intriguing as ever. History is full of brilliant light-heavies and cruisers who couldn’t quite pull it off at heavyweight; names such as Billy Conn, Bob Foster and Archie Moore come to mind, all of whom, despite their prodigious gifts, found the size hurdle too big to overcome. That said, it’s also possible that Usyk might follow in the footsteps of our last undisputed cruiserweight champion, Evander Holyfield, who relinquished his cruiserweight belts to become one of the most accomplished heavyweight champions in recent history.